If you’re concerned that the physical symptoms of Parkinson’s make living independently a challenge for your elderly loved one, Home Care Assistance of the Guelph, ON, is here to help. 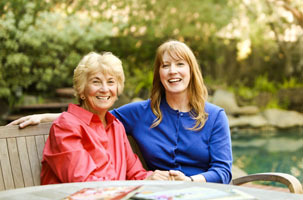 At Home Care Assistance, an expertly trained Parkinson’s caregiver can provide your loved one with the support he or she needs to maintain a high quality life in the familiar surroundings of home. Due to the progressive nature of Parkinson’s disease, over time your loved one will experience increased difficulty with everyday tasks. A skilled Parkinson’s caregiver can assist your loved one with navigating the home, getting in and out of bed and chairs, and performing routine activities, like personal grooming, cooking, and light housework. The Parkinson’s caregivers at Guelph Home Care Assistance can also assist your loved one with exercises that can help ease and slow the progression of Parkinson’s symptoms. For seniors whose cognitive faculties are still sharp, the physical symptoms of Parkinson’s are often frustrating. To help your loved one maintain his or her self-esteem, dignity, and independence despite the physical challenges of Parkinson’s, our Parkinson’s caregivers will encourage your loved one to participate in his or her own care. While our Parkinson’s caregivers are trained assist your loved one with daily tasks, having your loved contribute to his or her own care can help your loved one retain a level of control over his or her daily schedule. With assistance from an experienced Parkinson’s caregiver, your loved one can continue to live comfortably and safely in his or her own home for many years. To discuss your loved one’s Parkinson’s care options, contact Home Care Assistance on the Guelph at (519) 954-2111, and schedule a complimentary in-home consultation. 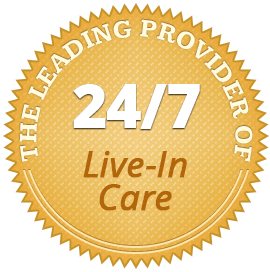 Our knowledgeable Care Managers are available to help 24 hours a day, 7 days a week.